With the November 15 debut of Amazon’s Kindle Fire now official, attention turns to what this means to Apple and the iPad and to the tablet industry as a whole. The answers might surprise you. 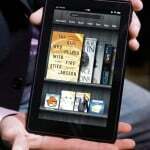 The Kindle Fire Debuts Admit it, you’re interested in hearing more about Amazon’s new tablet. So are we. In fact, minutes after the new device debuted in the Amazon store, three AppAdvice writers quickly placed orders for their own $199 slice of something new. However, this doesn’t mean any of us have suddenly jumped off the iPad bandwagon. In fact, we’re more excited about the iPad’s future than ever before. In our estimation, the Kindle Fire’s entry isn’t so much a threat to the iPad, as proof that the tablet industry as a whole is going mainstream. Now, for the first time, consumers will have a choice of two solid products, each at a different end of the pricing scale. And that is a very good thing. No, the real winners and losers here are the following. Winner – Amazon Obviously, Amazon’s Kindle line is on, well, fire. Along with the introduction of the Kindle Fire, the online giant unveiled a $79 Kindle and two so-called Kindle Touches, priced at $99 and $149, respectively. At these prices, Amazon will continue dominating the e-book market and also make noise in the emerging tablet market as well. While we’re pretty confident the Kindle Fire won’t suddenly make would-be iPad buyers switch, it will do quite well with those that want a tablet, but aren’t willing to spend $500 to do so. And, an expanded market is good for everyone. Winner – Apple Thanks Apple, you’ve proved mobile computing isn’t limited to smartphones. The iPad’s introduction to the world in 2010 changed the way consumers and organizations do business. In the Kindle Fire, Apple will finally have a quasi-competitor. And yes, competition is always good. As such, going forward we expect Apple to learn quite a bit from the Kindle Fire and plan future iOS updates accordingly. Plus, if it leads to lower iPad prices for everyone, so be it. Loser – Netflix In December, when the annual best and worst lists are announced, don’t be surprised if Netflix gets a raspberry or two. Once a media (and Wall Street) darling, Netflix has spent much of the year playing defense, thanks to nasty price increases for customers and a fight or two with some of the biggest names in entertainment. Now, Amazon is offering over 100,000 movies and TV shows using a $199 device. Yes, Netflix’s bad year will continue. Loser – Microsoft How is it that a company like Microsoft completely missed the boat on the emerging tablet market? Sure the Redmond, Washington-based company is promising nifty things with its Windows 8 OS, but that won’t be around until late-2012. By then, it may be too late with Amazon and Apple firmly dominating the market. Oh well, Microsoft still has the Zune. Oh, right, they don’t. Loser – Barnes & Noble The Nook Color is nice, but something tells us it will soon become an afterthought once the Kindle Fire debuts. Perhaps rumors earlier this year that Apple might someday buy the book giant could prove true. How about a Special Edition iPad that comes preinstalled with 50 of the top-selling e-books, available exclusively at Barnes & Noble? Loser – Other tablet producers HP, Research In Motion, Motorola, you name it, these companies now have a decision to make. Do they continue to market expensive tablet devices no one is buying or quit trying? And, if they do, do they go after the lower-priced or higher-priced side of the market? Split Decision - Google While Google may be thrilled its open-source Android OS is coming to the Kindle Fire, it isn't all good news for the tech giant. For one, Amazon is launching what amounts to a altered version of the OS. Besides, Kindle Fire users will use Amazon's own app store, and not the one created by Google. In addition, within the device, the user controls their browser experience. In other words, they could choose Microsoft's Bing, for example, and not Google as their search provider. Still, with Android-based tablets so-far not making much noise in the market, any device with some form of the OS installed could eventually be good news. And more devices overall could bring big business to Google overall. 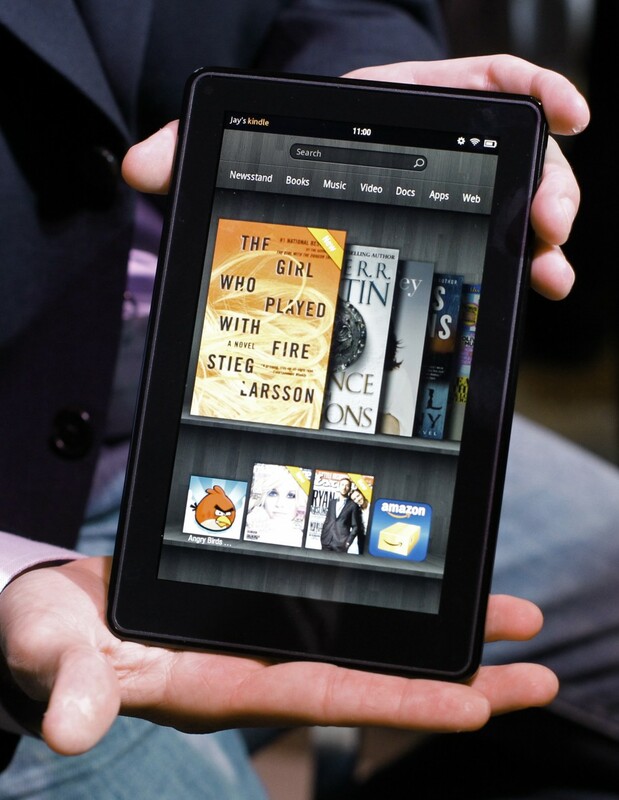 Have we missed any other winners or losers following the unveiling of the Kindle Fire? Let us know by using the comments below. In the meantime, we anxiously await getting our hands on the newest tablet to grace the market, and placing it beside our iPad 2s. Stay tuned.